Obie Award winning author Caryl Churchill examines the oppressive marginalization of women in the powerful Vinegar Tom, a play with music and dance. Alice, her mother Joan, and other women in the neighborhood are not fitting the societal norms—sparking an investigation by doctors and witch hunters. What unfolds is a tale of injustice and patriarchy that begs the question—where does real evil lie? Learn more about Vinegar Tom. 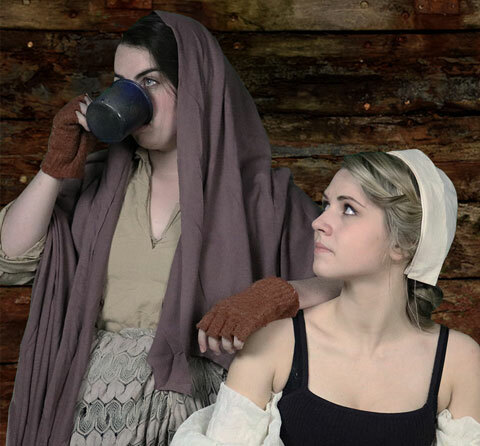 Photo caption: L to R: Sara Hayward (Joan) and Josephine Herlong (Alice) play mother and daughter in the Nazareth College production of Vinegar Tom.